With income tax season upon us it may also be a good time for us to evaluate the effectiveness of the record keeping strategies we’ve put into place. This is of particular importance for home-based business owners. While the deadline to file income taxes is not until April 30th, child care providers are required to provide receipts to all daycare families no later than February 28th. One receipt must be submitted for each child in a family. A common question that is asked at the CCPRN office this time of year is what information should be included on receipts. In addition to the child’s name, his/her parent or guardian, the duration of care or tax year, and amount received, each receipt should also state the child care provider’s name, address and social insurance number (SIN). Wondering what expenses to claim as a daycare provider? Child care providers are entitled to claim expenses that relate strictly to their child care services, such as accounting, legal and other professional fees, advertising costs, entertainment, equipment, groceries, insurance, interest, office expenses, outings, rent, repairs and maintenance, subscriptions, supplies, telephone, training and travel. In cases where a vehicle is used in a daycare, providers can also claim such expenses as fuel costs, insurance, leasing cost, parking fees, repairs/maintenance, washing, and plating and licensing. 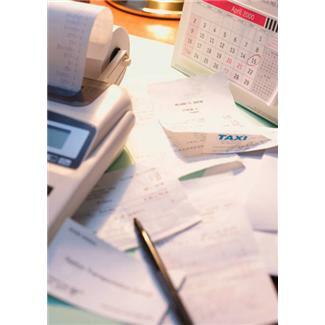 Of course it is easier to keep track of all expenses when personal costs are separated from business fees. If possible, open a separate business bank account and credit card. All records must be kept for 7 years.